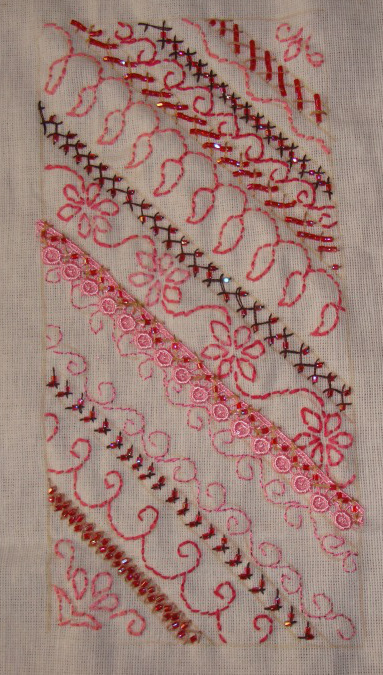 Another version of beaded herringbone was worked with dark brown thread and this stitch was worked over pink lace. With these samples the piece was completed. 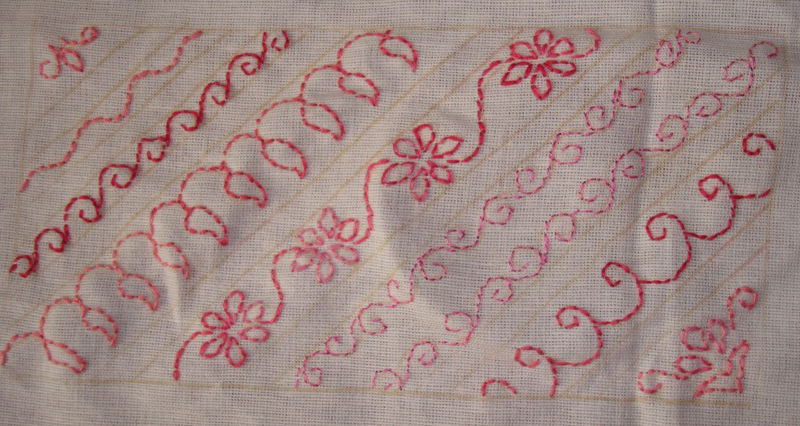 The piece before working the beaded herringbone stitches. This one was fairly simple and quicker to finish. The dark pink bead changing into red colour was unexpected. Now time to work this week’s Randje. 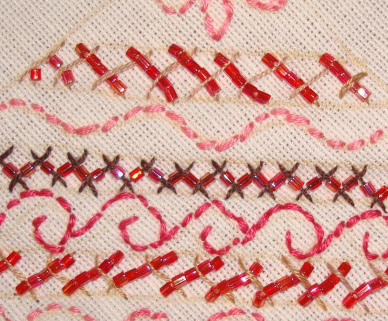 The working of last week’s beaded herringbone stitch is on Pintangle. I am still on the catching up mode. This piece is moving faster than the previous week’s stitch. 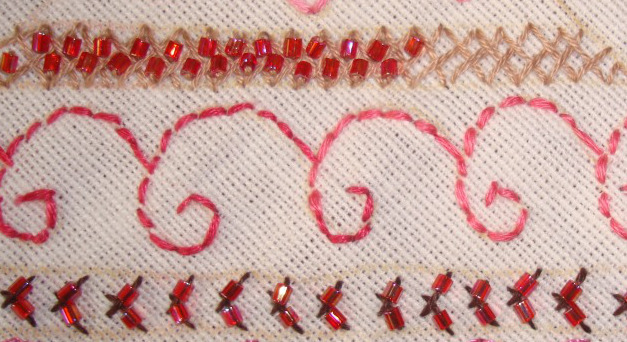 Back stitch borders are worked between beaded herringbone stitches. The dark pink beads look like red in the picture. 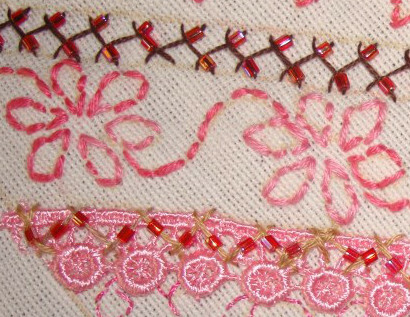 After working the beaded herringbone stitches vertically, the beads are added [in progress] in the space made with closed herringbone stitch.